can mean a lot of different things to different people, but what it means to me is trying to make the plot more natural and attractive to predators of pests, as well as less attractive to the pests themselves. What can be more unnatural and unhealthy than row upon row of the same plant? It only looks right to the eye accustomed to straight lines and which demands conformity and admits no deviations. A bio dynamic approach is also a natural alternative to using chemicals. Plants interact when they are close to each other. They compete for light and space, and for water and nutrients. One plant may benefit from another, for example a deep rooted plant loosens the soil for one that is shallow rooted, or a plant which cannot compete with weeds may benefit from following a plant which suppresses them. Some like legumes enrich the soil, while others attract or repel certain insects, spearmint, for example is said to repel flea beetle and ants. Some like concurbits (cucumbers and courgettes) like the shade of the taller plants like french beans, sunflowers and sweetcorn while taller ones like the moisture retention of the large floppy leaves of the concurbits. •	encourage growth in each other like courgettes and sweetcorn. •	mature at different rates as do potatoes and lettuces which will happily grow between the rows before the haulms have matured. 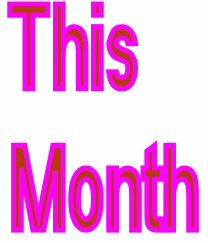 •	mark rows of allegedly slowly maturing seeds like parsnips with quickly growing and maturing ones like radishes. •	mask the smell of a plant which normally attracts a pest, for example some herbs like rosemary and chives are reputed to ’protect’ carrots from carrot fly. I have a dilemma with companion planting of vegetables because if they come from different families it affects crop rotation. It’s quite difficult to rotate crops successfully without introducing an extra stipulation. Nevertheless lettuce can readily be planted with radish and/or strawberries, early potatoes with broad beans and radishes also go well with peas. I think the smell idea is a bit hit and miss so I would rather put up a mesh barrier to stop carrot fly rather than relying on confusing the carrot fly’s sense of smell. I don't interplant radishes with parsnips either because it is a fallacy that they take a long time to generate, contrary to what everybody says. There is a lot of criticism and ‘objective’ assessments which criticize companion planting because of a lack of scientific research. I think that this is misguided because intuitively I know that it is better to have a plot which is thriving with insect life that it literally buzzes rather than create a sterile allotment which looks and feels unnatural. There are not many things I am sure about but one of them is that misuse of chemicals in the supposed interests of bigger yields is unnatural and that it is better to be more natural than less natural. Most of my companion planting centres on the interplanting of flowers and herbs with the vegetables, as detailed below. It’s not difficult because most of them self seed. I do this partly because I understand that certain plants are beneficial to each other, and partly to attract beneficial insects. Affinities may not always be scientifically proven, but what harm can come of it, and potentially the benefits are great, especially to one’s own internal harmony as well as that of the plot. I’ve lost count of the number of people who have complemented me on the appearance of the flowers, but when it comes down to it they all self seed and cost absolutely nothing. 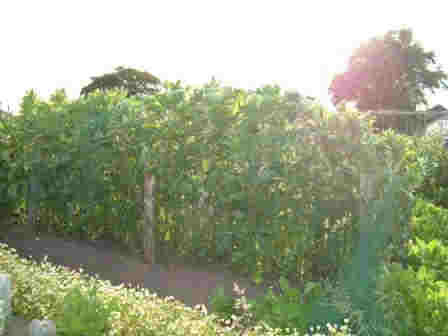 Of course the contrast to other allotments is stark, and this must increase the surprise people feel when they see mine. Not all of those who view it are admirers. My favourite critical comment was when an experienced and very skilled allotmenteer engaged me in conversation a few years back. I happened to say that I was not completely satisfied with it but I was getting the plot to how I wanted it. Back came a barbed, quizzical ‘And how’s that then?’ My favourite favourable comment was from Paul who came for a ‘nosy’ one summer evening and said ‘I like your allotment, it all sort of fits together’. My aim is to create as natural an environment as possible in which my vegetables will grow. When I first started I overdid the flowers and in some cases they crowded out the vegetables. Now, however, I reckon I have more of a balance, although I'm still a bit of a softie when it comes to pulling out the more invasive ones like pot marigold, poached egg plant and nasturtiums. The flowers all attract welcome insects and help to keep my plot lively and more balanced in pest control than it would otherwise be if I just grew vegetables. I once heard some eejit ‘expert’ on Gardener’s Question Time guffawing at companion planting because in his opinion these flowers are weeds and it does not make sense to encourage them to spread. Well you eejit, have you ever tried removing Californian Poppy or Pot Marigold? It’s a piece of cake, bearing no resemblance to even an annual weed like chickweed, let alone a perennial like couchgrass. Even Poached Egg Plant is easy as long as you don’t let it get a hold. The potential benefits, to your own inner harmony as much as anything else, far outweigh any problems you might encounter. The resulting plot is so attractive, in more ways than one. Ladybirds, lacewings and hover-flies are all natural predators of pests such as aphids, mites, mealy bugs and caterpillars. Adults lay their eggs near pest colonies so the larvae have a ready source of food. The females are very prolific, each one reproduces hundreds of larvae, which feast upon the pests. As a variation on just eating the pests some wasps and tiny flies are called parasitoids since they lay their eggs inside the pest which is eaten from within. I once watched an adult Hover Fly eating blackfly eggs on a broad bean plant. In front of the fly were vast amounts of blackfly eggs, behind the Hoverfly not a one. Steadily the insect advanced, apparently vacuuming the broad bean clean. Needless to say I renamed it the Hoover Fly. The adult insects such as hover flies need a rich supply of nectar to produce the eggs in the first place, and that’s where the flowers come in: they attract the parents as they are a vital source of energy. Brilliant. 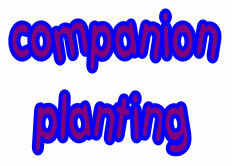 You can play your part in establishing a food chain which has got to be beneficial to all the plants on your plot. What about plants having an affinity? Cam has even worked out the scientific reason for this: “Beans and peas use special bacteria in the nodules on their roots to fix nitrogen into the soil. Onions contain an antibacterial action which would also be true of their roots. Where the roots come into contact under the soil, the onions would prevent the legume roots from housing the necessary bacteria effectively, explaining why they cannot produce more lush vegetation. The onions don’t mind the beans but the beans can't cope with the onions!” Brilliant Cam, thank you. Needless to say if you have any experiences to report please send them, as always by clicking Walter, the pigeon. 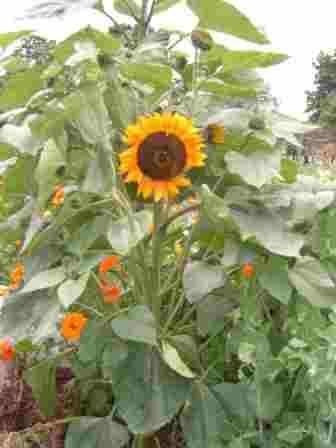 One time I planted a sunflower at the head of my allotment because I had done this the previous year and it was so welcoming when I arrived. This time the sunflower came up looking very spindly, forlorn and about to die. I moved it, thinking it didn’t like the potatoes. It thrived, a bit misshapen from its infancy but it eventually flowered. The following year one of my seeds had blown across onto Keith’s and was poking out of a row of potatoes. I told him what had happened to mine. Interestingly this one grew strongly and flourished. Was my theory wrong – yes, but nevertheless there must have been something about the location that had caused the stunted growth. This sunflower also self seeded from a giant last year. I know what they look like so I try to leave them alone when they appear. 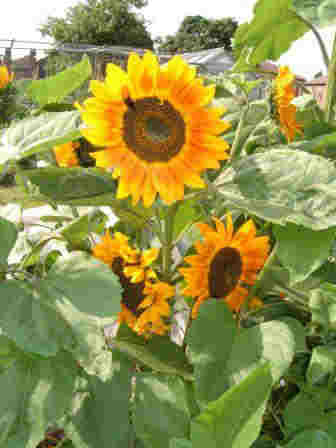 Sunflowers are composites (Asteraceae), which, like asters are flat open flowers from which insects easily gather nectar. When I took photographs of the sunflowers last summer there was almost always at least one bee or wasp in the picture. Herbs like coriander, fennel and dill are umbellifers (apiaceae) which produce tall stems that branch out into bushy heads containing masses of tiny white or yellow flowers. They produce vast amounts of nectar but do not last very long, so successive sowings or self seeding is necessary to maintain the supply. I tend to let them grow wherever they come up. None of them take kindly to being shifted, so they need to be left where they are. They attract a massive number of insects, both the predators and the parasitoids which are so necessary if the plot is to maintain a natural balance. However, don’t plant these herbs close to one another. Dill and Fennel in particular do not like each other, will cross fertilise and spoil. Of course, not only are these herbs useful in the plot, coriander is a great accompaniment to a tomato and onion salsa, while dill has a particular affinity with fish, especially wild salmon. Poached egg plants, (Limnanthes douglassi) are very easy to establish, self-seeding each year for a continuous supply of bright, open flowers. Poached egg plants are rather invasive and, if left alone, gradually colonise the world. That is why I have tried to establish it on the edges of my plot, for it even crowds out the couch grass. The best thing about poached egg plants is they flower for such a long season and they attract hoverflies and ladybirds which love to feed on blackfly. Therefore they are very useful when grown near broad beans. So successful are they in quelling these invasive little insects which are ‘farmed’ and ‘milked’ by ants, that over the last two years I have not had to pinch out the growing tips of the braod bean plants at all and I have had a wonderful crop. Unfortunately the main problem I have with broad beans and peas is the weevil, and here the solution: garlic is disliked by both the weevil and the beans. This is Mr Majestyk, a french marigold I'm particularly taken with this variety since Elmore Leonard is my favourite author and this is the name of a character who figures in a few of his fine books. It's the first year I've had success with french marigolds. I sowed them inside in pots. I guess I probably weeded them out by mistake in previous years although I may have sown them too early or they might have been eaten. Not so hard to grow are the pot marigolds which proliferate. They self seed and I know what they look like so I leave them in where I can. Contrary to its name it does not hail from France but from Mexico. 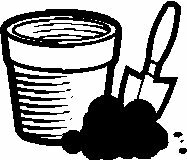 Because it secretes a substance which kills some harmful soil nematodes it is recommended to be planted close to tomatoes. Pot Marigold (Calendula officinalis) is a self-seeding hardy annual, which is very prolific and very pretty. They are very resilient and providing the conditions are not too dry may be readily transplanted into walkways and out of prime locations, where it might be better to grow vegetables. This echinacea is a triumph. 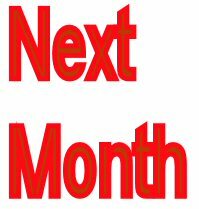 It takes a year to establish itself, but it is well worth the wait. My first was on the corner of a bed and a fox pulled it out in very dry weather. Subsequently I started again. Early this year I thought I had dug it out by mistake, but when the leaves appeared I was overjoyed. I think you can see why. Once the potatoes were dug I let the nasturtiums run riot because they drown out everything else and are easy to remove when the time comes. They are great for pain free ground cover. I admit to a prejudice against overwintering green manure because when I tried it early in my allotment days I found that chickweed loved to grow within it and that left me with a chickweed problem, a rather expensive way of making difficulties for myself. Nasturtiums also have a reputation for repelling Aphis.